Au Pair required to care for two children, 5 and 8 years old. 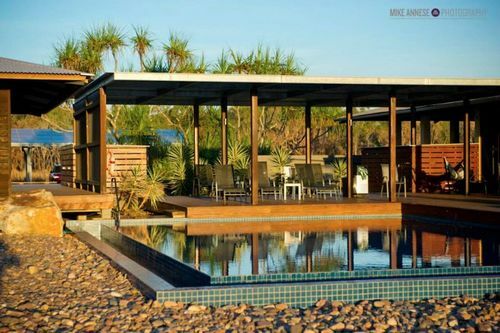 Must be prepared to travel with family to Wildman Wilderness Lodge, which is situated 2 hours from Darwin. The position is for two week and is a fixed rate agreement. Accommodation will be provided in staff village and includes meals at no extra cost . Transfers to and from the lodge will also be provided departing from Darwin. Must have experience in similar role and have a genuine caring attitude towards children. Must also be able to plan activities for the day, that are both educational and fun. Work will commence in the week commencing 23rd September 2017. Wildman Wilderness Lodge invites you to voyage into Australia’s Top End for an immersive adventure. Just two hours east of Darwin, on the fringe of Kakadu National Park, the lodge offers the ultimate in bush luxury, nestled in the lush Mary River wetlands area.